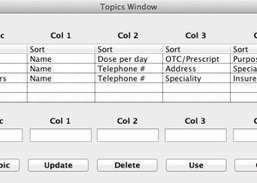 Keep track of any topic that can be described in four parameters. Turn your Mac into the ultimate home theater system. For Sony Ericsson mobile phones. World clock with an animated time zone map. Stitch screenshots together and create a 1x1 scale map of a 2D game. Disk cataloging & labeling app. Use your Mac and iOS devices together as an audio and video monitoring system for your home. 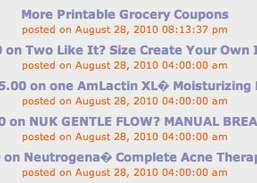 Display and print coupons from major retailers.